I needed to change my lifestyle as I found out that I was diabetic, high BP, high cholesterol and the list goes on! I wanted to take a natural approach and not pump my body with drugs so I found the Ketogenic lifestyle as a well researched diet and it works! The problem is most Dr's don't know of it or approve it. My Dr at the time told me I was crazy and this will never work. Thank God I found Dr. Shafipour! He is one of the few in the LA area who knows and supports Keto. That says a lot and I will recommend him to everyone who wants to improve their health the natural way instead of just saying, take this pill and you are good. Thanks Dr. Shafipour!! Dr. Shafipour literally saved my life. I came in for a routine physical a few months ago and he discovered my cancer at a very early stage. When I told my Oncologist the story he was shocked that Dr. Shafipour was even able to catch it as early as he did. Along with his diligence and thoroughness he is also a really nice guy. I would highly recommend Dr Shafipour to anyone. Very professional, and did not wait long time. Always great, friendly care from the Doctor & staff! Dr. Shafipour was amazing! He was patient and understanding with my silly anxieties. He gave me a good solid plan to move forward and it really made me feel better. His staff were two lovely girls. Their preparation emails and paperwork were very efficient. I'm very lucky to have found this office in the craziness that is LA. Thank you! Great experience! Parking was easy (on street). I didn't wait to be seen either in the waiting room or once in the patient room. The dr and his staff are kind and professional. He indicated that he would call me with the results of my blood work. I'm super happy that I found this dr.
Dr. Shafipour is very knowledgeable and friendly. He took time to carefully listen to all my health issues and had very helpful recommendations. He even shared some complimentary medications and also helpful guidelines on obtaining medications in reasonable price. His staff were also very friendly and professional. It was my first visit to his office but he will definitely be my family medicine specialist from now on. As a first time patient, Dr Shafipour and his staff were very attentive and took the time get to know me & my issue. They were patient, informative, and made me feel comfortable & in good hands. Great bedside manner and knows what he is talking about. Refreshing to have a smart and charming primary physician. This was my first visit with Dr. Shafipour, and it was great. I was in and out, the staff didn't keep me waiting long before I was put in a room and with the Dr. Dr. Shafipour was very knowledgeable and friendly. I highly recommend. Thanks! Very quick and painless (pun intended). was in an out in about 20 minutes. Dr. Shafipour and his staff make 'going to the doctor' a pleasure! From the ease of booking an appointment (by phone or online) to the short wait times, office organization, etc., not to mention extremely competent doctor that is Dr. Shafipour, I cannot say enough about he and his organization. Dr. Shafipour always takes the time to answer questions and you don't get the sense he is rushing out to see another patient. 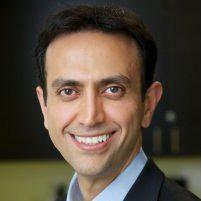 I highly recommend Dr. Shafipour and his amazing practice in Santa Monica! Minimal wait time. Everything done efficiently and well. Helpful advice and answers. The clinic environment is lovely and staff are friendly . Dr. Shafipour is very passionate about his job and he is very professional and organized. Wonderful. Efficient and knowledgeable, with great bedside manner. There are many positive aspects of being a patient of Dr. Shafipour. His staff is helpful, there is never more than a 5 minute wait for your appt, Dr. Shafipour responds personally with test results or follow-ups, he is informed about supplements and he listens. I'm lucky to have him aa my doctor. Dr. Shafipour is always up on the latest medical information and tailors his approach to each patient's needs. He's caring, compassionate and extremely thoughtful. An excellent doctor! As before, he is an excellent Doctor and and person who genuinely cares. He makes time to listen and then to make recommendations for things we can do to further heal. I was very fortunate to have found him for my health needs. Relaxed office, helpful staff. Dr. Shafipour didn't rush, provided me with a lot of information and answered all my questions. I think I'm going to go to him as my primary care. I was really happy with the visit.